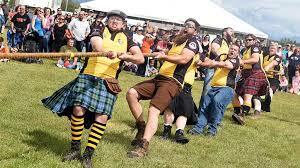 The Fall Camporee is an immersive Highland Games Experience. Judges circulate, judging food creativity, gateway, campsite layout & upkeep, progress. Unit Leaders who are attending the camporee should download this guide. It includes detail information about the schedule, accommodations and instructions for the games and competitions. Compete in 7 for points toward the treasured Golden Eagle. Archery: Let the quivers fly. 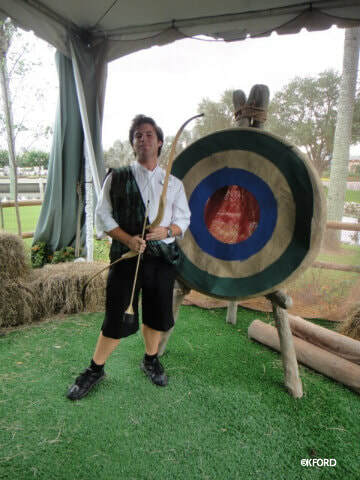 Axe Throwing: Something we don't get to do often, but what a lot of fun. 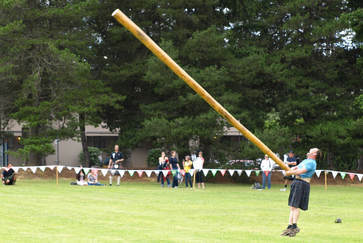 Cabor Toss: How far can you toss a 12 foot long tree? Fells Race: Is a 2 mile relay race for the patrol. After each 1/4 mile segment, there are scout skills that have to be demonstrated and carried thru the race. Tug a War: Are you up to it? 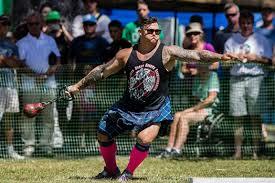 Hammer Throw: How far can you throw a 5 lb hammer? Stone Put: A lot like a shot put competition. 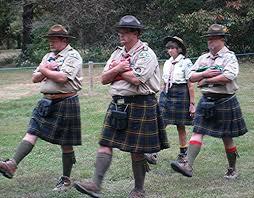 Patrols will earn points for Scottish Themed meals, presentation and flavor. Judges will circulate during the meal. Award Ceremony and Skits and Songs! Patrols or troops bring 2 skits and all your props to entertain and be entertained! Boling Park is in Canton, GA, off Marietta Highway at the Etowah River. The park is maintained by the City of Canton. This page is maintained by David Strickland dstrickland@troop.guru.